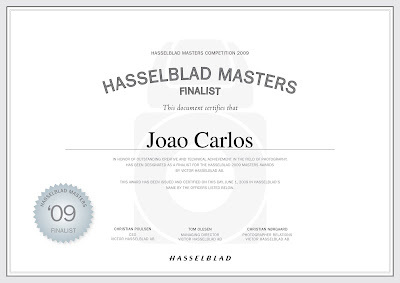 I have been selected as a finalist for the Hasselblad Masters 2009! I received this email a couple of days ago ,Telling me that I have been selected as a Finalist for the Hasselblad Masters 2009 I could hardly Believe it . Its an Honor just to be pre -selected . There were ten thousand entry’s and two thousand Photographers , I was selected for the Bridal/social Category . Joao Carlos is not your typical, run-of-the-mill photographer. He is a visionary with the rockstar-attitude to match, and creativity and life flows from him like paint from a brush. Having been born in New York to emigrant parents, traveling and living all over Europe, including his country of descent, Portugal, he uses these influences and experiences in his storytelling. Joao envisions his photography as an opportunity to create inspiring pieces of artwork, to go beyond the conventionality and impermanence of fashion and commercial photography, and to take that to a lasting fine-art level. He approaches his shoots from the perspective of a painter, conveying emotions through visionary storytelling, rich settings, and the use, mostly, of natural light. He is especially inspired by art from the 18th century along with fantasy driven ideas from novels, lyrics, and poems that can piece together a vivid photograph, something that stays with you and transcends the impermanence of commercial values. His appreciation for the arts in all aspects is what continues to inspire and drive him while capturing the stories in his lens. Joao studied the old fashioned way, the way a painter truly would- as an apprentice to a Maestro, the most significant spanning 5 years under Joao Palmeiro. 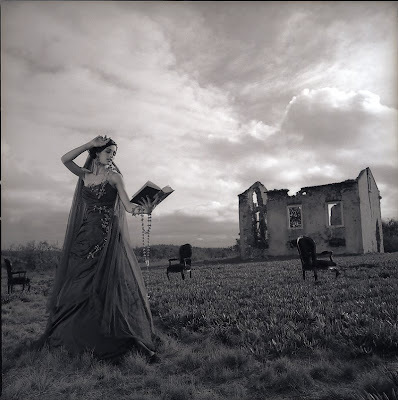 He discovered photography rather by accident in the early nineties while studying fine arts, painting, and sculpture along with art history at Centro De Arte e Communicacao, in Lisbon, Portugal. It then became obvious that photography would become a life-long passion. Joao also enjoys playing maestro from time to time, passing on his tips and tricks in workshops and private tutorials. He isn’t stingy with his knowledge as he feels that passing on art and appreciation for creativity is, in fact, the true end goal. No matter what subject he is shooting, be it commercials, editorials, portraits or landscapes, he has a unique ability to add the fairy tale- touch to everything he does. Joao’s work has been published in a variety of publications from Numero, J’adore Magazine, Six Degrees, Umbigo Magazine and Nstyle to name a few. He has worked with Clients such as Nike, Avon, Pfizer and many others. He runs a boutique production house in Lisbon and New York City, and is endorsed by LensBaby, Westcott, Smashbox, and Thevi Cosmetics.